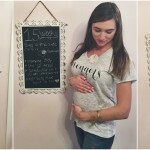 I love how this shirt can easily hide an early bump or a not so flat tummy or a pretty large bump even! In case you don’t believe me, I shot this look the same day as the pics in my “bumpin bachelorette” post and there is def a belly to hide! 😉 I loveee wearing pink and blue together, it’s so soft and feminine! 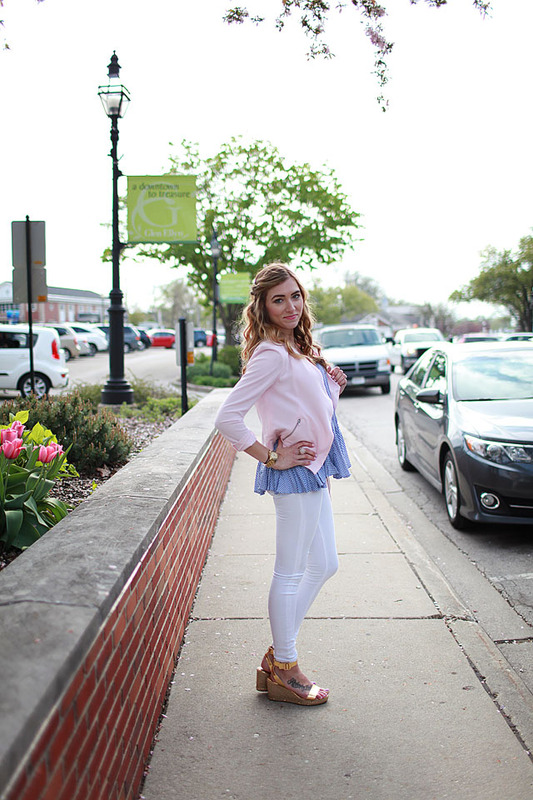 What are some of your favorite color combos for Spring? If it doesn’t warm up soon around here I’m going to have to start getting verryyy creative with all my light weight jackets, ah! Hurry up Summer!!!! I hope you all have a wonderful Thursday and thanks for stopping by!